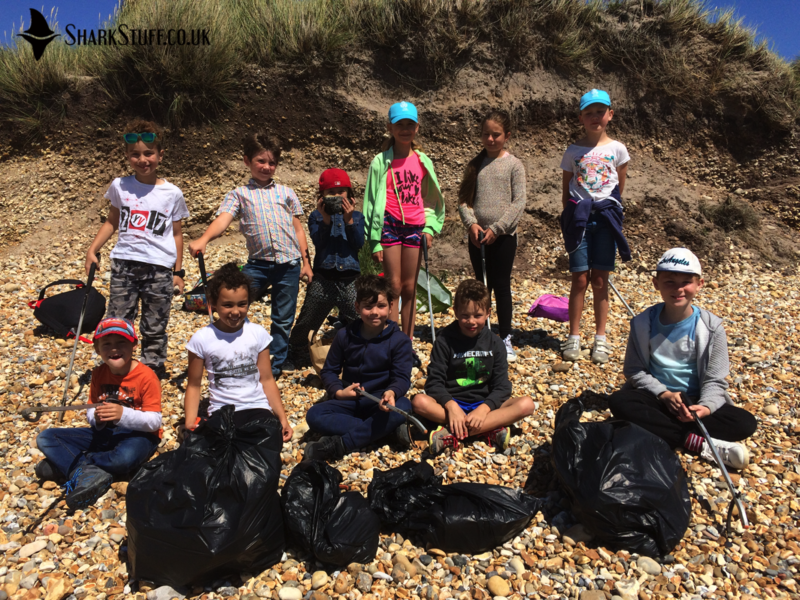 As part of project lead by the Hengistbury Head Visitor Centre, we ran shark themed activities for children from deprived communities, engaging them with their local wildlife. Who did this project benefit? This project ran from July to August 2017, and focussed on using bio-recording to engage, motivate and educate children from deprived communities. 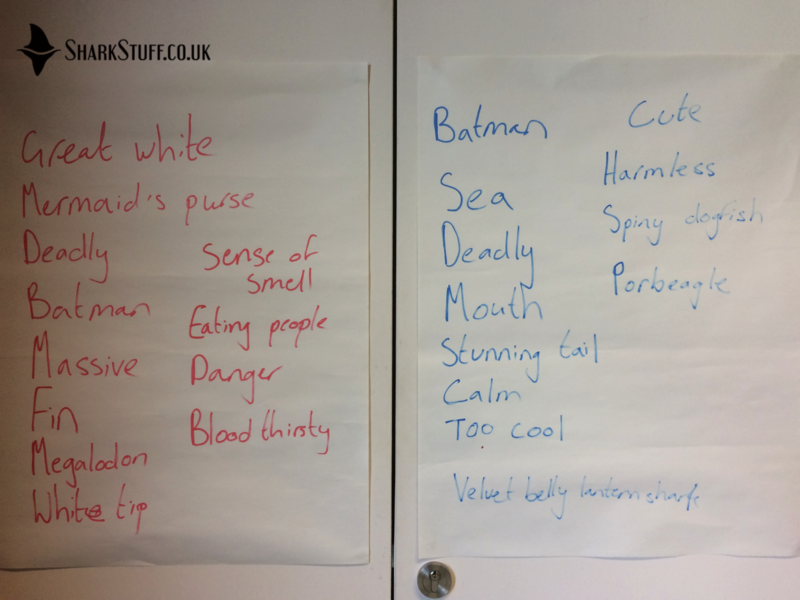 Each week we ran a full day of shark themed activities for the weekly group of 7-11 yr olds. 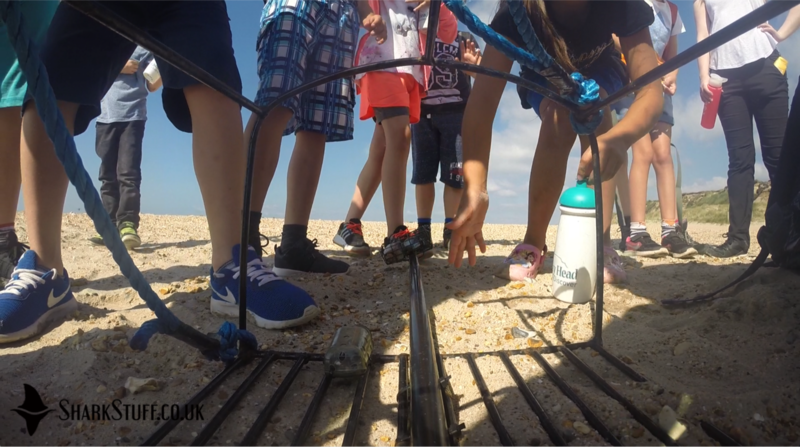 We designed a mix activities to engage the children with our local shark species, and change their usually negative perception of sharks in general. 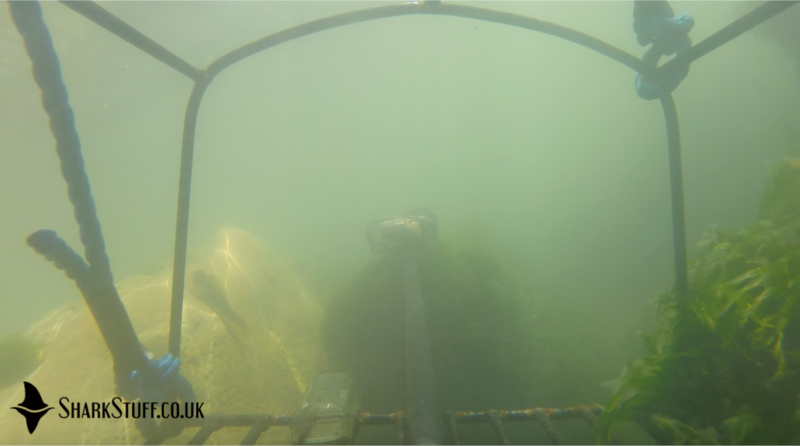 We showed the groups how to deploy a Baited Remote Underwater Video (BRUV) unit to capture footage of sharks. 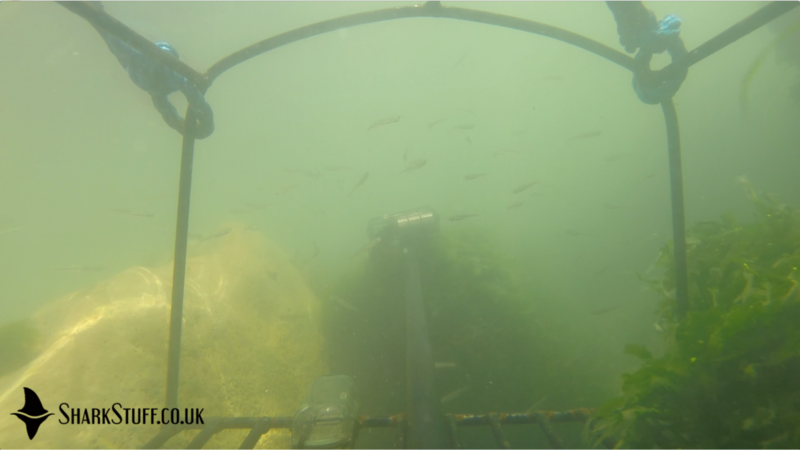 It was brilliant to see how thrilled they were when we watched our footage later in the day, even with no sharks in it! We also went armed with our trusty Shark Trust Great Eggcase Hunt ID guides. Because summer can be a difficult time to find eggacses on the beach, we brought along pre-prepared bags of eggacses that we’d collected earlier in the year, which included examples of several species found locally. 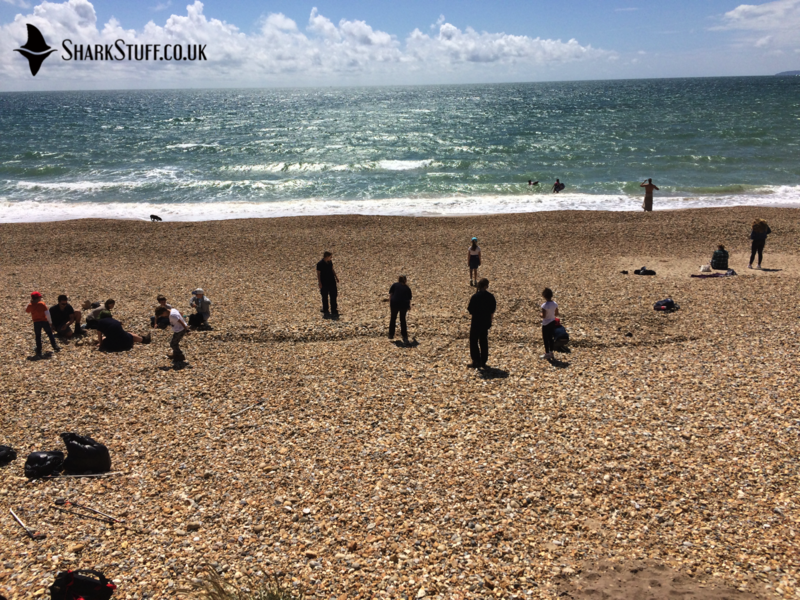 Along with the Hengistbury Head staff and volunteers, we showed the children how to ID the different species, and everyone got to take a guide home with them to keep using in the future. There's a pretty big rock goby...on the rock! 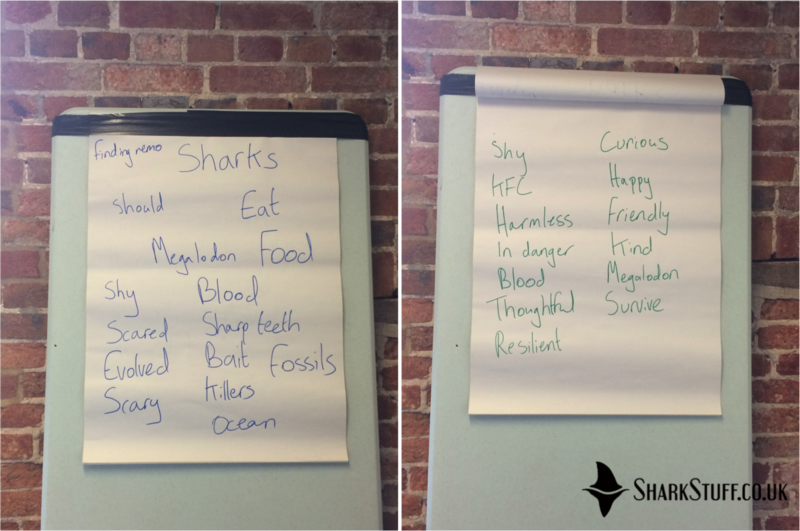 One of the first exercises of each day was to ask the groups what was the first word that they thought of when they heard the word shark. We recorded their responses at the beginning and end of each day, and were very pleased to see some significant positive changes! As well as…some rather random offerings! In addition to cool shark facts learned throughout the day, and talks on our local species and shark anatomy, we gave each group a talk on “Shark Truths”. 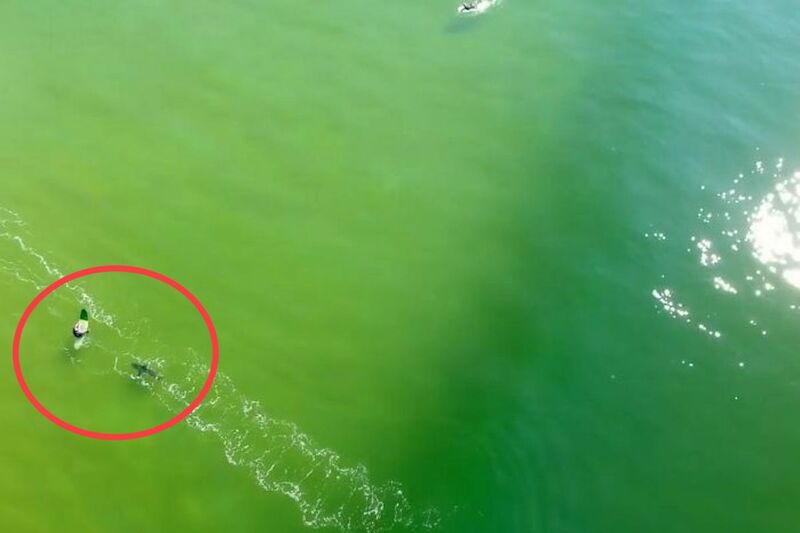 Here we tackled the myth that all sharks are out chomp us using photos, videos and some pretty stunning facts. We "thank" Shark Week for the Megalodon obsession! 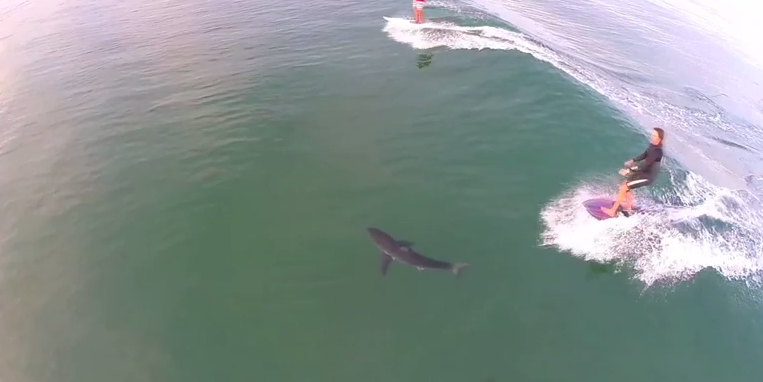 This guy unknowingly surfed right over the top of a shark, which peacefully swam away. Let’s face it, no one likes being stuck indoors all day and one of the best ways to get people to engage with wildlife is to take them out into it! 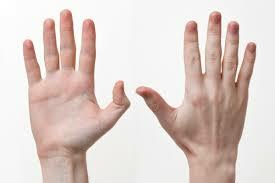 We came up with educational but fin activities that would get the kids moving and actively engaged. 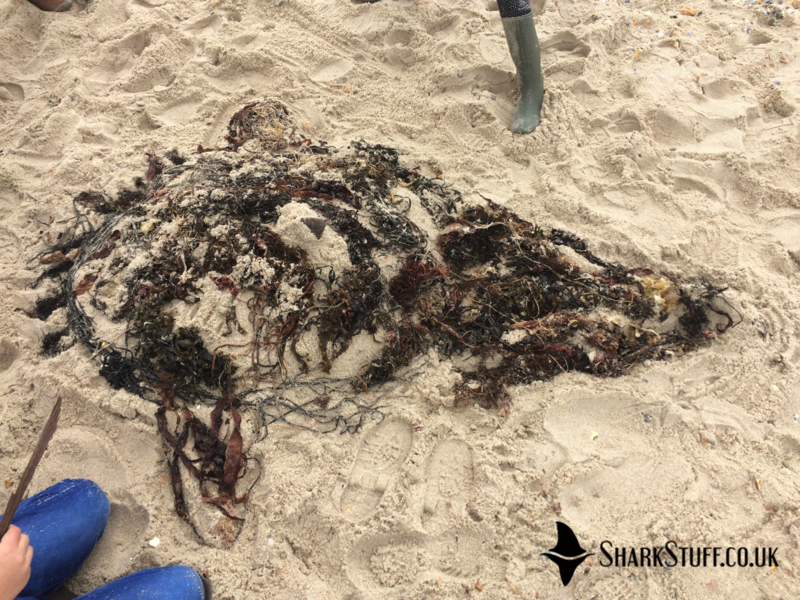 After learning about how plastic pollution and discarded fishing gear is a serious threat to sharks, everyone got really into collecting as much litter as possible during our beach clean sessions. After having a good clean up, we challenged the children to make shark sculptures using natural beach materials however they saw fit. One group teamed up to make a life size 12m basking shark, while another split into small teams who made some mind blowing smaller sculptures of various species. "What kind of shark do you guys do you guys want to make?" "WOBBEGONG!" How incredible is this manta ray?! 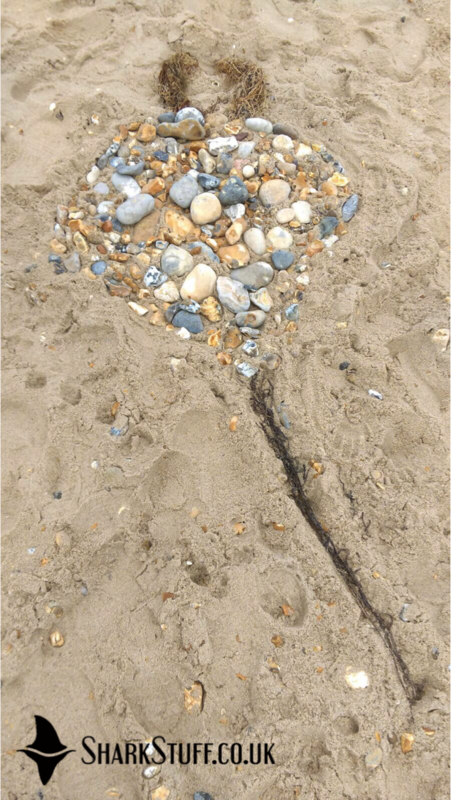 We absolutely loved working with the Hengistbury Head Visitor Centre staff and volunteers, who were all absolutely fab. If you’d like these kinds of activities run for your school, organisation, club or group, get in touch via our contact page. A Future For Wildlife was lead by the Hengistbury Head Visitor Centre and funded by Tesco Bags of Help, Christchurch Harbour Ornithological Group, Local Improvement Funding from the Ward Councillors of East Southborne and Tuckton (Bournemouth Borough Council) and those from Boscombe West, and AFC Bournemouth’s Green Goals scheme. Tesco Bags of Help are funders of the Future For Wildlife project, lead by the Hengistbury Head Visitor Centre. Bournemouth Borough Council are funders of the Future For Wildlife project, lead by the Hengistbury Head Visitor Centre. 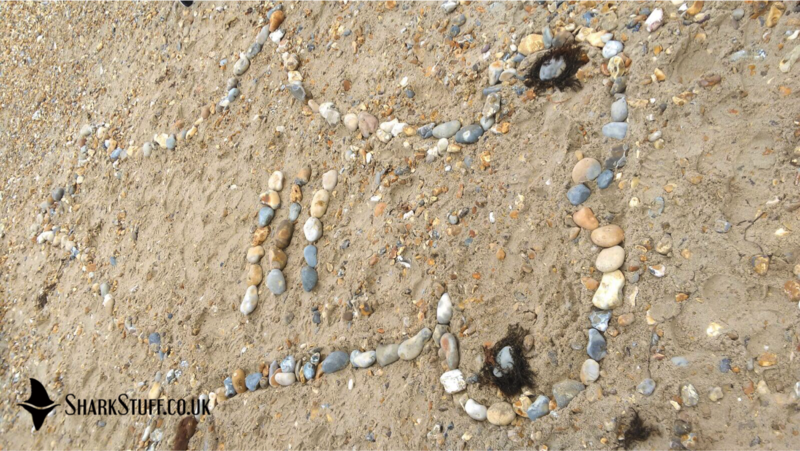 AFC Bournemouth are funders of the Future For Wildlife project, lead by the Hengistbury Head Visitor Centre. CHOG are funders of the Future For Wildlife project, lead by the Hengistbury Head Visitor Centre.